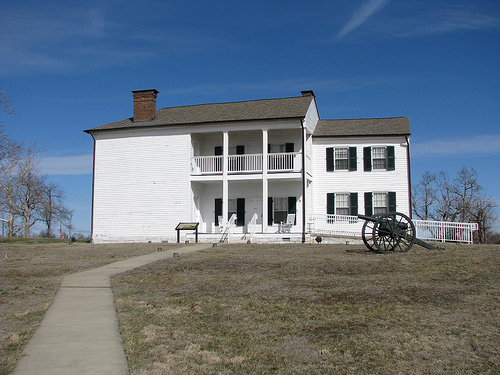 The answer: the Oliver Perry House at Camp Nelson in Jessamine County. No one attempted to guess last week's #Throwback Thursday puzzler. I suggested it was "newsworthy and noteworthy" and later noted that the old house was located in Jessamine County. I thought the property recognizable because the photograph I initially had planned on using (picture below) was in the Lexington Herald-Leader last Tuesday in an article entitled "This weekend's Civil War Days marks Camp Nelson's 150th anniversary." Oliver Perry House - Camp Nelson - Jessamine Co., Ky. The photograph I utilized for last week's #TBT (above at left) was Camp Nelson's most notable landmark, known simply as the "White House." The two-story frame Greek Revival is officially called the Oliver Perry House. 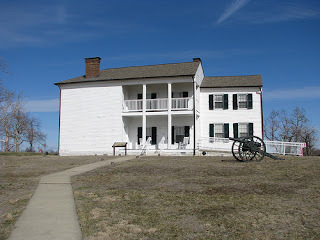 During the War, it was used as quarters for the officer and it is the only building remaining from the Civil War era at Camp Nelson. Constructed by Oliver Perry for his new bride, Fannie (Scott) Perry, ca. 1850, the Union occupants added the rear two-bay deep addition. 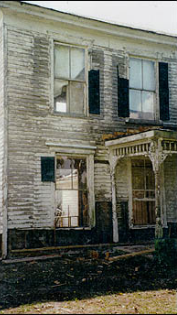 The building had fallen under complete disrepair prior to its meticulous restoration by the Jessamine County Fiscal Court which has been an instrumental force in preserving this historic area. 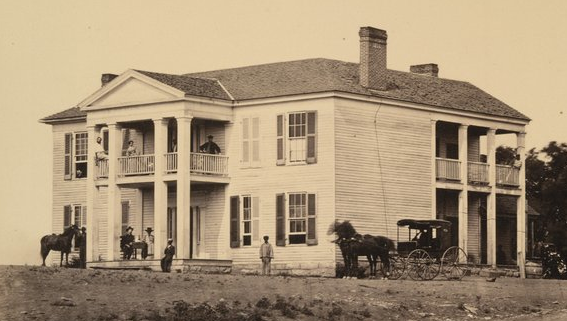 In 1863, General Ambrose Burnside (for whom the sideburn is named) commandeered the Perry-Scott House and it was utilized by the Union for two years. Surrounding landowners also had their lands confiscated by the Union army to amass and secure the 4,000 acre site. The largest landowner was Mary Scott, Fannie Scott-Perry's mother. There will be more on Camp Nelson and the Oliver Perry House in my column in this week's Jessamine Journal which should be available in Nicholasville newsstands today. The column will also appear on Friday on this site.